For our second we got one of their specials. 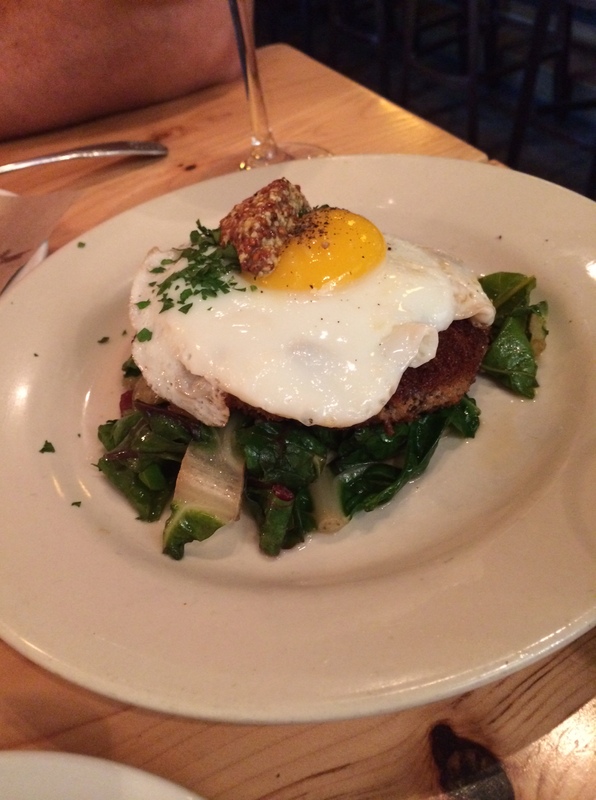 A sausage hash with a fried egg on top. 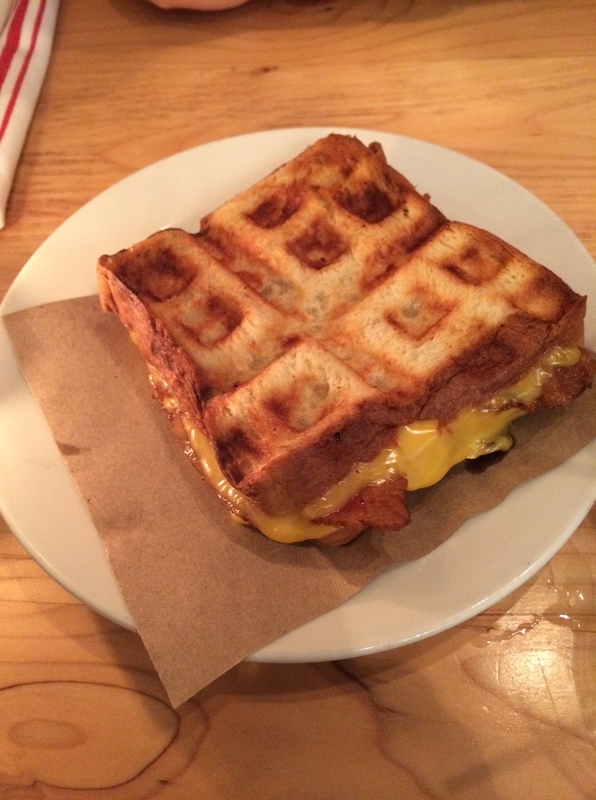 It was very different, and not very hash like, but still delicious. It was over Swiss chard which I don’t think I’ve ever had before. It kept it from being too heavy. Now on to the main show. Get ready for it. 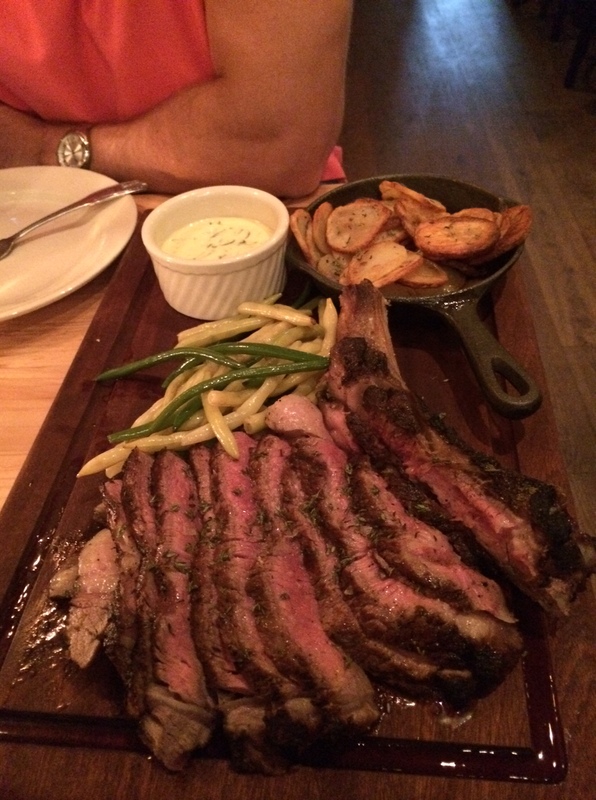 We finally caved and ordered their Dry Aged Bone In Rib Eye steak for Two! It was out of this world good. I’ve been to the fancy schmancy steak houses and this was by far one of the better steaks I’ve ever had. It was seasoned so well and was the perfect tenderness. It came with green beans and delicious potatoes. When the waitress came over to clear it she laughed. 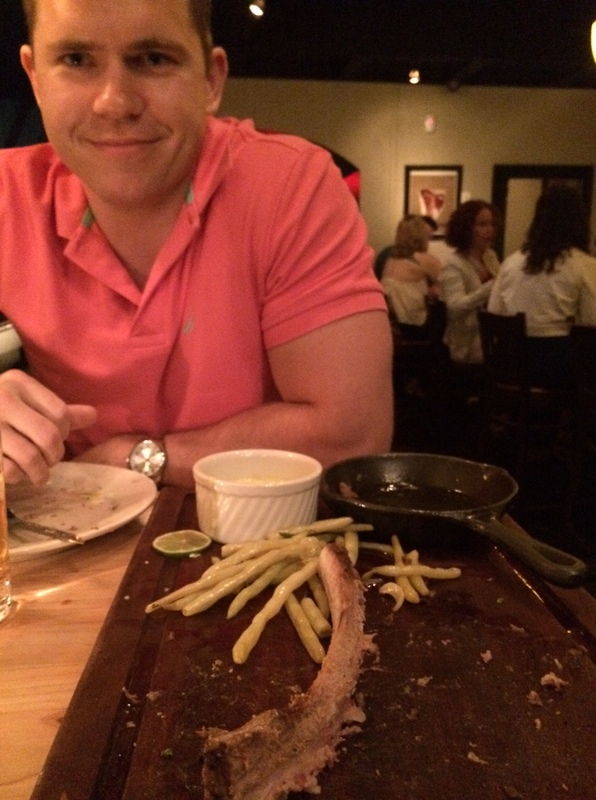 I told her if Andy ate more vegetables we would have completely cleared the plate. Now for dessert. We may or may not have had this before and It may be what drew us back. It’s a chocolate bacon chipwich! It is to die for. 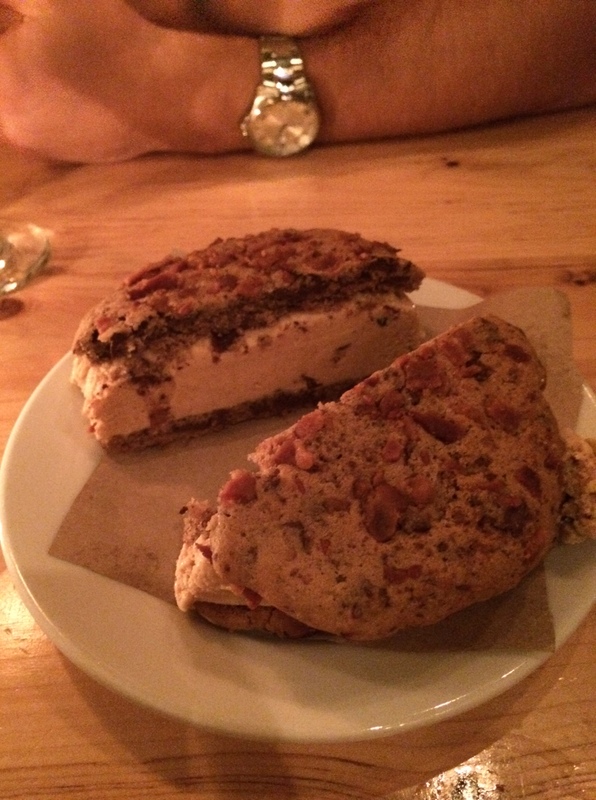 It is pecan and chocolate chip ice cream in between two big and soft chocolate chip cookies with bacon cooked on top. If you ever find yourself in southern Connecticut, do not miss out on this awesome local restaurant. That is like my DREAM meal! would love to attempt to recreate that dessert… bacon in cookies? Why haven’t I done that before! It was pretty much heaven! I know bacon makes everything better! OMG this place looks amazing!